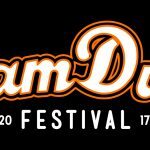 Announcing the new Fireball UK partnership earlier this year, Slam Dunk Festival 2017 are pleased to reveal the complete line-up for the Fireball Stage. The final 3 artists can be revealed as: Punk-rap party outfit Zebrahead, Indiana-bred quartet The Ataris and guitar-driven Drive-Thru alumni Fenix TX. They will be joining the previously announced Bowling For Soup, Less Than Jake, Reel Big Fish, Goldfinger, Mad Caddies and MC Lars for the most envied party weekend of the year. 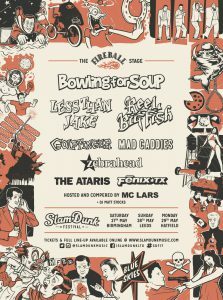 This all-American stage features the biggest ska punk & classic pop-punk line up the UK has ever seen, uniting regular touring buddies and bands that have never played together before to create a must-see spectacle for both new and die-hard fans of the genres. Kicking off in Birmingham on Saturday 27th May, the festival will travel to Leeds on Sunday 28th May before finishing up in Hatfield on Monday 29th May, once again ensuring the Slam Dunk Festival Bank Holiday Weekend is the only place to be to catch the finest in alternative music. Enter Shikari, Neck Deep, Beartooth, Tonight Alive, Citizen, Turnover, Set It Off, Against Me! The Bronx, Goldfinger, Mad Caddies, Memphis May Fire, The Movielife, Trophy Eyes, Like Pacific, Don Broco, Bowling For Soup, Less Than Jake, Reel Big Fish, Cute Is What We Aim For, We The Kings, I Prevail, Ice Nine Kills, Zebrahead, Fenix TX, The Ataris, MC Lars, Oceans Ate Alaska.